Being from England, it always surprises me to discover that people have English ancestry. 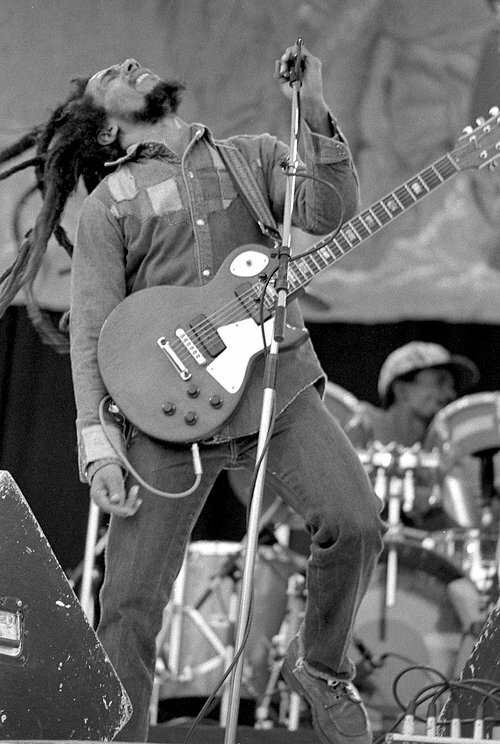 Did you know that Bob Marley’s father was English? Bob’s mother was only eighteen when she married Norval Marley – he was about sixty and the supervisor of a plantation in Jamaica. Bob was the result, although the couple split up when he was just a baby and Norval died ten years later. Bob rarely spoke about him in later life. Little is known about Norval, apart from what can be pieced together from his records – mainly military. He was born is Sussex in England or so he said when he enlisted in the British Army in 1916. This was in Liverpool where he had arrived …from Cuba. He had apparently also been in in the United States. On his enlistment papers he claimed to be a construction engineer. He was relatively short at 5’5″ and weighed only 124 pounds. He was accepted by the army and sent to a training camp. It seems that he was either a malingerer or something of a hypochondriac. He had an operation when he was in the army but there was no illness found and he was described as ‘neurotic’. After the war – he did not see active service – he worked in Nigeria, then a British colony. He was either in the local army or the military police. It’s thought that he acquired the title of ‘captain’ when he was there. The next thing we hear about him, he is in Jamaica. It seems that Bob Marley’s father liked to move around a lot. I wonder why?